By Sakana Oji, January 21 in Plugins - Publishing ONLY! I have recently created another plugin called "Glitterific"! It adds a lovely glittery effect to your picture. "Translucent to Solid" determines how see-through or opaque the glitter is; in other words, it controls the noise intensity. "Vividness" controls the saturation of the glitter's color. "Glue Ratio" is just another word I made up for "Coverage". (I've been trying to give some unique fancy names to the noise settings, don't give me the look!) It determines how much glitter there is stuck to the picture. Let's see what you think of my plugin - I think it's pretty neat, huh? CodeLab makes it super easy for anyone to create a plugin, but you should spend some time making your effect plugin unique. 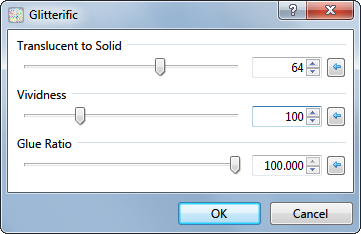 Invoking the Noise effect and changing its parameter labels in the GUI... it's just script kiddie stuff, and obnoxious. My two cents. It may be a bit harsh, but I think you need to hear it. I agree with toe_head2001. This isn't a worthy plugin if it only replicates simple application of the built in tools. Please don't be in a hurry to write plugins. Think HARD about the uniqueness of your plugin BEFORE publication. There are hundreds of plugins out there already, including quite a few "Noise" plugins (like Noisechoice). If you're unsure, post your plugin in the Development section of the forum and ask for guidance. 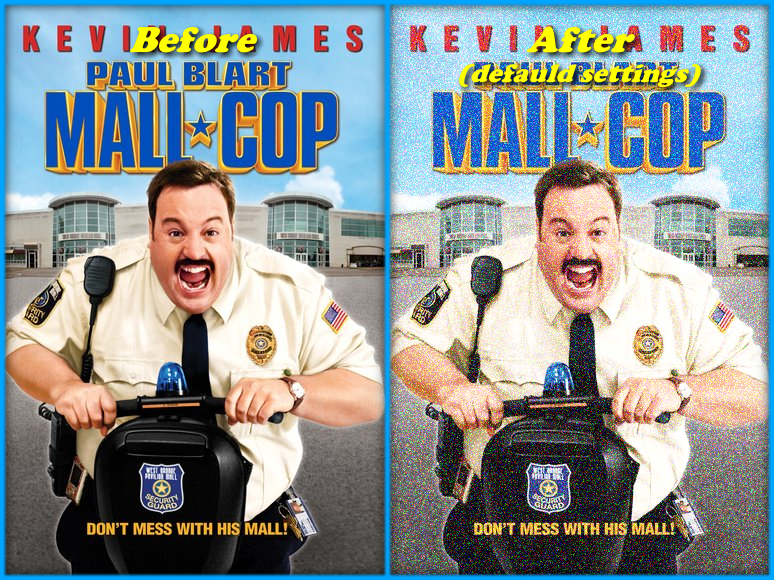 Actually, this would be a ok plugin if you're replicating this effect among many layers. But, at that point, I would be looking into batch processing. Glitterific doesn't appear to render anything over a uniform canvas of white or transparency.